It can be argued that IDEO is the world's second leading design firm (do we really need to tell you who's first?). Their contributions to design include the the Palm V, a self sealing water bottle for bikers, improved medical equipment interfaces, and the Apple mouse. 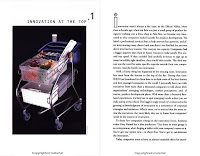 The Art of Innovation: Lesson's in Creativity from Ideo, America's Leading Design Firm, by Tom Kelley, an IDEO Partner, give us a much anticipated window into the thinking and methodology behind this creative powerhouse. With the same simple and thoughtful approach IDEO pursues in their final products, they deliver a book that is both delightful and simple. 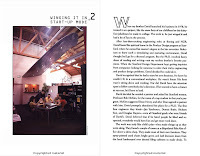 The book shows us how to build Hot Teams, how to create great products, and (in a chapter which should be posted on the bulletin board of every would-be innovative firm in the country) how to guide a successful and productive brainstorm.